he U.S. Department of Agriculture's Food Safety and Inspection Service announced in December 2010 that it would enact a new nutrition labeling rule for the most popular cuts of meat and poultry products. The new law is set to go into effect March 1, 2012. Under this legislation, packages of ground or chopped meat and poultry will need to feature nutrition facts panels on their labels. Additionally, the 40 most popular cuts of meat and poultry products will require nutrition facts panels either on their package labels or available for consumers at the point-of-sale. The nutrition facts panel will include the number of calories and the grams of total fat and saturated fat a product contains. Additionally, any product that lists a lean percentage statement, such as "76% lean," on its label also will list its fat percentage. Retailers will need to begin following the new regulation March 1, 2012. This means that the nutrition information of popular cuts must be available to the consumer at the point-of-purchase. There are several ways to comply with the new regulation. Posters, brochures or signs (printed or electronic) can be displayed at the service counter, meat case or checkout. Print-ready nutritional charts are available from FSIS at www.fsis.usda.gov/Nutrition_Labeling/index.asp. 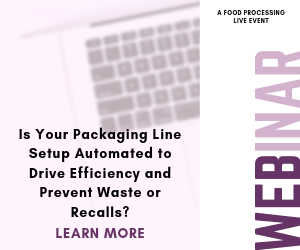 Additionally, on-package labeling offers full compliance, and can be done in-store or at a central packaging location. Mettler Toledo offers full support in placing all or some of the nutrition information directly on packages. All Mettler Toledo labeling equipment supports nutrition labeling, from counter scales to the wrapping machines. Labels can also be placed on the bottom of packages, covering up less of the product. Mettler Toledo also offers a variety of USDA-approved label formats included with the equipment. If retailers choose to comply with the regulation by placing labels on packaging, an analysis of the current labeling equipment must follow. The equipment should not only have the capability to print a label, but also needs to be able to print a Nutrifacts panel.